100' right on 231. This would make a great 3/4 acre residential or business lot. It is close to Panama City Beaches and the Northwest International Airport. Take a peek. The owner says to bring all offers. All measurements are approximate. 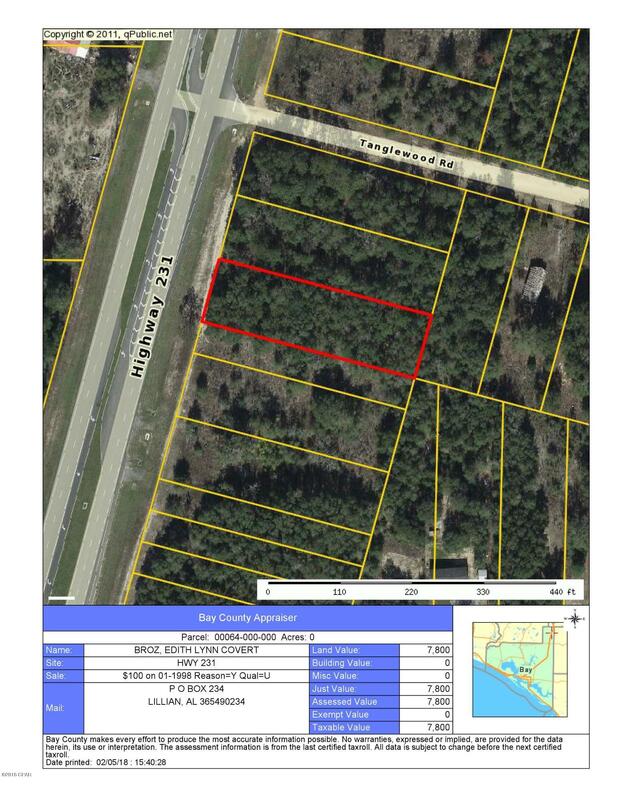 000 HWY 231 (MLS #668454) is a lot/land listing located in Fountain, FL. This is a lot/land listing with a lot of 39,204 sqft (or 0.90 acres). This property was listed on 03/25/2019 and has been priced for sale at $15,000.